October 26 marks the National Pumpkin Day. Every year, people celebrate this holiday as a kick off for autumn. As a matter of fact, this is the pumpkin harvest season. This gave a reason for everyone to get their own pumpkin and carve it ready for the Halloween. Yes, we’ve got less than a week left to prepare for the scariest event of the year. 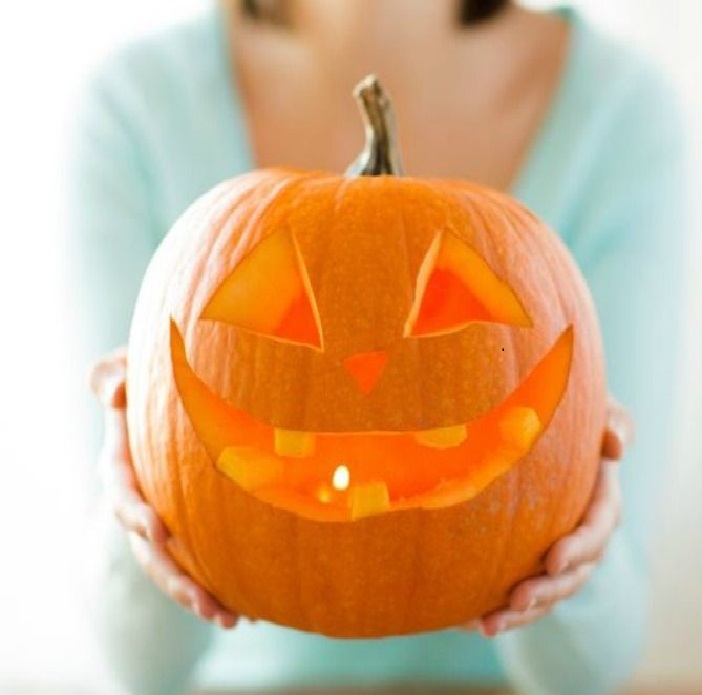 Did you know that pumpkins are grown in every continent (except for Antarctica)? That simply means you got no reason to skip decorating your lawn or home for this weekend as everyone wants to have a Happy Halloween. Imagine the world without pumpkins, there wouldn’t be delicious recipes and most of all, pumpkins carved and displayed to scare people. The word pumpkin originated from ‘pepon‘. A Greek word which means a large melon. So, how did you celebrate the National Pumpkin Day? It’s the time of the year where you can see pumpkins everywhere. Along with its abundance of its harvest season, each household never fails to create a good home cooked recipe from pumpkins to celebrate the holiday. Let’s take a glance of the most interesting recipes. No matter where you go, you can always see something out of pumpkin (or as what some people may call it, squash). One of the best morning recipes made from this orange fella is a hot and fluffy pumpkin pancake. Simply adding mashed pumpkin on your regular pancake will turn your morning into something ecstatic. Not to mention, top it with some cream, honey, or your favorite fruit should pump up your morning. You can try making some creamy pumpkin pasta. I came across a good recipe from Huffington Post which could make your day complete. Combining pasta and pumpkin isn’t such a bad idea. I have tried it myself, and believe me, it was mouth-watering. Although I was new to creating this dish, I was not able to find any obstacles along the way. And if I were to rate this, all I can say is… Superb (not that I am a lover of pasta). There are a lot of recipes you can invent and create from pumpkins. They are truly a versatile vegetable. From breakfasts to desserts, to main dishes or a simple snack, this vegetable can fill your table with the power to keep you and each family member healthy. Some may call this vegetable a super hero. If mothers are considered one (this is what I call my mother, by the way), pumpkins is known to have complete benefits. In other words, this vegetable is rich in fiber, and most of all, low in cholesterol. Fiber acts like your vacuum cleaner. If this machine absorbs all dirt and dust in your home, pumpkin has the power to clean your system. An essential tool to speed up your metabolism so you wouldn’t feel bloated or full. In fact, pumpkin allows your trips to the bathroom smooth. No more hemorrhoids or pain and discomfort. You may recognize how your body reacts when you have healthy digestion. It becomes a domino effect. Other than you will be able to have a good digestive system, your body would function well. Thank you for this day! We have a reason to celebrate National Pumpkin Day and have a Happy Halloween in the days ahead.